As a family caregiver, it is normal to feel a twinge of jealousy when you hear about a friend’s weeklong vacation. However, allowing these brief moments of jealousy to add up could lead to feelings of resentment. While you might not be able to do things the way you used to, you can use the following strategies to address feelings of jealousy so you can keep a positive perspective regarding your responsibilities as a caregiver. When you feel jealous, it is easy to forget the positive parts of being a caregiver. As soon as you notice a niggling feeling of resentment creeping in, take a time out to reflect upon the reasons you became a caregiver. For instance, you may look forward to strengthening your relationship with your parent, or you may simply know that he or she is happier when you are around. Once you have your reasons figured out, write them down so you can refer to them when things are stressful again. Caring for a senior loved one can be a challenging task, which can put caregivers at risk of a variety of negative emotions. Families who need help caring for a senior loved one can turn to Home Care Assistance, a leading provider of Oshkosh, Wisconsin, home care. Services available in our customizable care plans include meal prep, mental and social stimulation, assistance with personal hygiene tasks, and much more. Examine your feelings to determine if there is something else exacerbating your response to hearing about a friend or family member’s good news. For example, you might feel jealous after hearing about your best friend’s spa day. Once you figure out the deeper meaning behind your feelings, you will have a better idea of how to go about fixing the real issue. Family caregivers can manage some of the emotional challenges of caregiving by hiring professional in-home care experts. 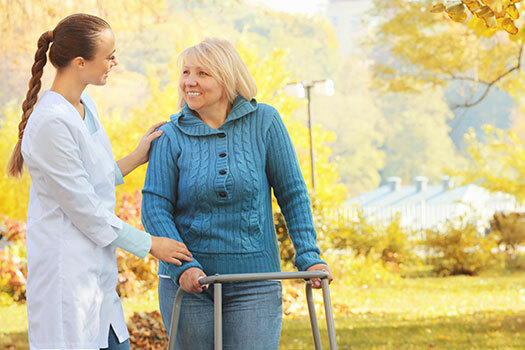 Though you may be researching multiple home care agencies, Oshkosh, Wisconsin, Home Care Assistance has much to offer your family and your elderly loved one. We are leaders in the senior home care industry, offering proprietary programs like our holistic Balanced Care Method and around-the-clock assistance from reliable, experienced caregivers. Trust in Home Care Assistance to help your loved one enjoy a happier and healthier life in the golden years. Negative emotions may get worse when you are physically exhausted or ill. Make sure to go to bed at the right time each night to wake up feeling rested. You may also need to include snacks in your daily meal plan if you find yourself feeling hungry. Once you’ve taken care of the basics, add in a few pampering treatments each week. Even if you just get a fresh haircut or spend a minute rubbing scented lotion into your hands, these brief bouts of happiness may make it easier to fend off jealousy. People tend to put only the best parts of their life on social media, which can give you a skewed perspective. If you find yourself feeling jealous as you scroll through people’s profile feeds, then simply take a break. You may also find it helpful to remember there is often more going on than people are posting publicly, and everyone has some type of stress in their lives. Constantly managing your elderly loved one’s mental, physical, and emotional wellbeing may be difficult at times, and it could lead to caregiver burnout. Reach out for support and arrange for respite care services so you can get time to yourself and remain healthy. If you are the primary caregiver for a senior family member and you need respite care, Oshkosh, Wisconsin, Home Care Assistance is here to help. Our respite caregivers are trained to assist older adults with a wide variety of everyday tasks, including meal prep, physical activity, and personal hygiene. We also provide 24-hour care and specialized care for seniors with Alzheimer’s, dementia, and Parkinson’s. For more information and to schedule a complimentary consultation, please call one of our knowledgeable Care Managers at (920) 710-2273 today.